How can you teach children about 2D and 3D shapes? I love that there are so many activities you can do with children to help them with this topic. They are really great fun too! Shape Hunt– Kids adore this! Get them looking for shapes all around them, it’s surprising how many shapes you will find from square light switches to rectangular windows..there’s shapes everywhere! You could do it whilst on a walk, at home or in the classroom. And it requires little/no preparation. Books– Those who read my blog regularly will notice I always include books! But for a very good reason- they are a fantastic tool to introduce new learning and reinforce established knowledge. For shapes it’s no different. 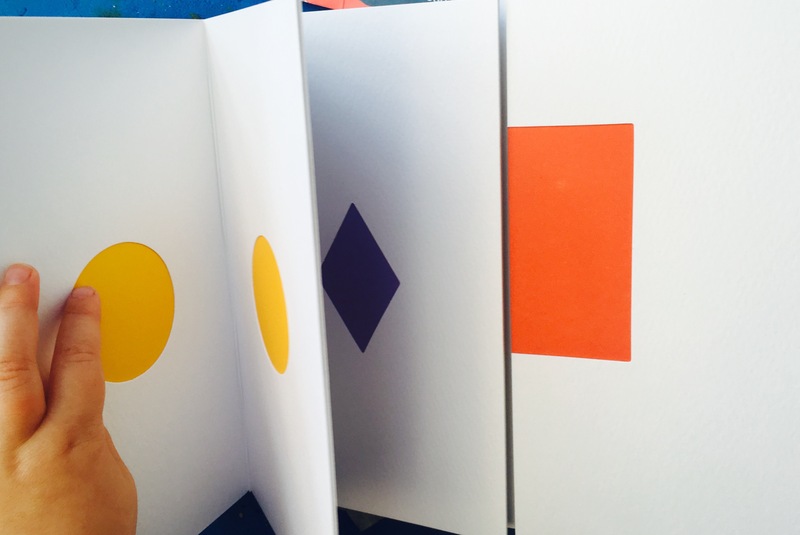 We love love…love this book Shapes, Colours, Numbers by Dario Zeruto. 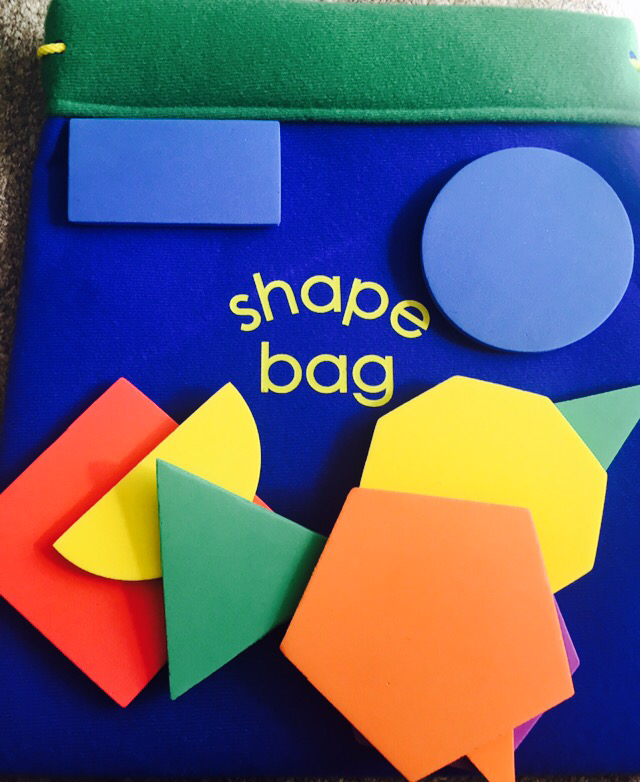 Simple, beautiful and colourful- perfect for getting children talking about shapes. 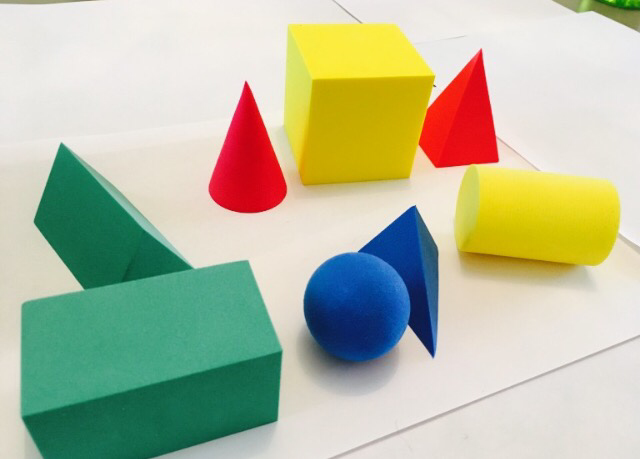 Make Shapes– Another easy-to-set up activity is making shapes. Children (if able to) could use scissors to cut shapes out of coloured paper or even make shapes out of items found on a nature walk..for example triangles made from sticks, circles from leaves etc. Stencils- Either using pre bought shape stencils or objects you’ve got that are different shapes (building blocks for example, coins etc) children can use their fine motor skills to practise drawing shapes. Masking Tape Roads– I love using masking tape to make roads, runways etc (have a look at our Masking Tape Airport here) You can easily incorporate shape learning into these activities..making the roads different shapes (circles, squares etc) and getting the children to ‘drive’ their cards round the shapes. 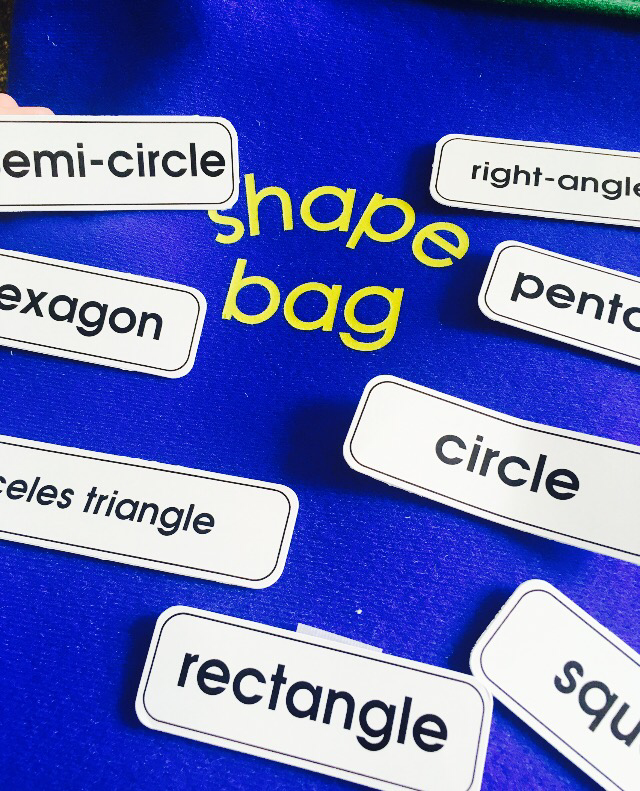 Shapes Bags– One of my favourite Resources at the moment for teaching shapes are the gorgeous shape Bags by Twoey. Twoey sell both a 3D and a 2D Shape Bag and each bag comes complete with foam shapes and name labels (see our review of the 3D shape bag here). Not only are they great quality and beautifully made but they are fantastic for allowing children to be hands on when learning about shapes. Kids can hold them and learn about them through touch, they can also play games matching them to the labels (they cleverly velcro on!) and finding them in the bags! Running Game– If you’re keen to get your kids moving and developing those gross motor skills then you could go outside, draw shapes with chalk and play games getting children to run to the shape you call out! What ways do you teach kids about shapes? Let us know!